In celebration of the school’s 120th anniversary, the Berkeley Institute Anniversary Celebration Committee is shining a spotlight on its alumni, with the ninth profile highlighting Patricia Gordon-Pamplin, Class of 1966, Gold House. Pride in knowing that I am able to contribute selflessly and willingly to our society. What is your fondest memory of your time at The Berkeley Institute? Being called to the office for circumventing the rules. The love and support of my teachers and peers, the learning environment and the innate ability to discern at an early age how to enjoy my vocation such that my employment provides great enjoyment. How have you applied the motto Respice Finem to your life? With every decision, I strive to be fair and consistent, knowing that others are watching and perhaps even emulating. I therefore guide, counsel, direct and mentor at every opportunity knowing that my input could change lives, hopefully for the better. The ability to get through bookkeeping at RSA 1 & 2, followed by GCE “O” in the subject cemented my love for the subject and my ultimate career choice. Be respectful of your families, knowing that you represent them when you leave home, be appreciative of your teachers as they are there to guide and counsel you, and love and embrace your peers so that you can be a support system for each other to traverse the minefield of life successfully. Learn all you can, be like a sponge, and apply vigorously all that you learn in an environment where you will be happy. Won a scholarship in the days when fees were required to be paid, and having been sent abroad to Jamaica rather than taking up the scholarship, I returned to complete high school at The Berkeley. Edwina Smith who was my advocate to beg on my behalf to be reinstated to a class from which I had been expelled! What was your favorite subject and why? English, as the ability to articulate effectively has always been a goal. How has/in what ways have Berkeley alumni helped to shape Bermuda? Berkeley alumni have provided significant and impactful leadership in all areas of our country, from Parliament to Civil Service to professions such as medicine, law, banking. What advice would you share with a student pursuing a career in your field? The accounting field is wide open for Bermudian talent as there is a significant number of foreign accountants who fill the demand that we have not been able to satisfy. Follow closely behind accounting, I would recommend underwriting. And as part of the celebration of Berkeley’s 120th anniversary, alumni of the school are being featured on Bernews, and you can read a profile on Juan Philip Wolffe here, Florenz Webbe Maxwell here, Garon Wilkinson here, Candace Furbert here, Shernette Wolffe here, Scott Wade here, Mustafa Manders Ingham here, and Kristin White here. Wow!! Looks like most hands were tied at that time.Not just the prior Premier!! Rather an unbelievable turn of events in that political arena!! 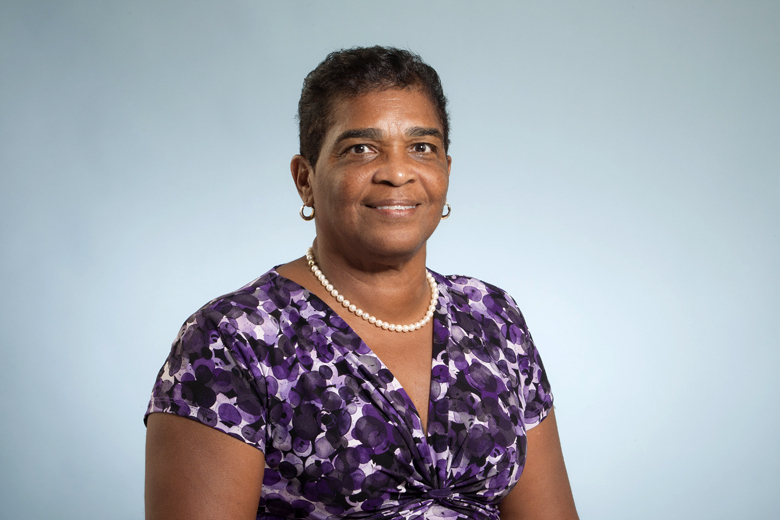 Patricia Gordon-Pamplin is one of those politicians who has devoted her time and effort “selflessly and willingly” for the betterment of Bermuda. She may have served in a different party to her father but if he were alive today he would surely be proud of both of his daughters. Many thanks Patricia for your valuable contribution to our Island.